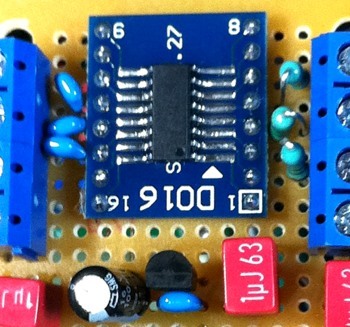 Use of digital isolators for I2S audio signals have been proposed by both industry people as well as diy people. But why use a digital isolator? For one thing, it adds some jitter into the signals it is supposed to isolate. But I think one reason is to isolate the “dirty” digital side, from the “clean” side. In other words, isolate the “dirty” power (and signals) from the PC from the clean power in the DAC. 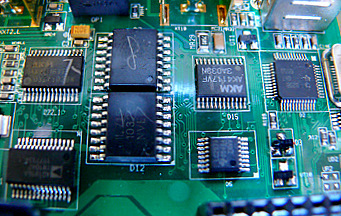 From the power supply point of view since there is no power shared between the two sides of the I2S interface, that leaves the Gnd connection that can be isolated between the PC-side and the DAC-side. From the signal point of view, noise on the I2S lines can also be isolated. This application note is about isolation electronics in high fidelity digital sound, and in particular, techniques that can be used to reduce the noise floor of any given system. …the goal remains the same: elimination of known sources of noise and error in the forward path of the music signal. NVE’s unique GMR isolators can help achieve that goal. …NVE manufactures the lowest distortion digital isolators in the world today. Precision edge placement with 50 ps of jitter allows the designer to transfer signal data from CD transport to audio DAC without noise induced phase error. Texas Instruments has a paper describing the different technologies used in digital isolators. 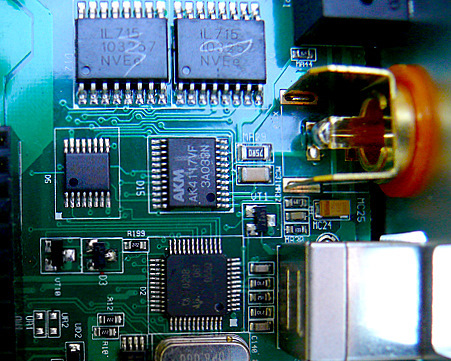 A design guide also provides good information for PCB designs with the use of isolators. 12 typ, 18 ns max. Pulse Jitter – 100 picosec typ. Whether these issues are important for audio/I2S applications or not, probably depends on the actual conditions (noise levels, etc) in the signal lines. There has been some discussion on using I2S isolators but no conclusive “wisdom”. Seems to be a good thing with no negative impact to the I2S signals. Exadevices EXAU21 [link]. Uses IL715. Centrance DAC MINI [link]. Uses IL715. 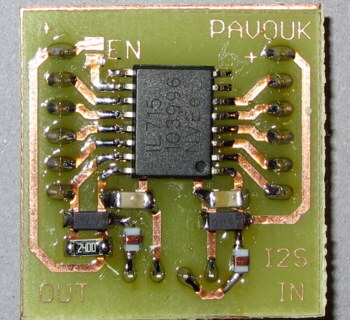 From the example projects above, we can see that the overwhelming favorite digital isolator is the NVE IL715. 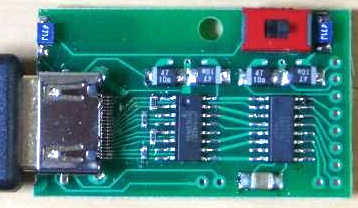 It is an SOIC part and thus DIY-friendly. NVE manufactures the lowest distortion digital isolators in the world today. Precision edge placement with 50 ps of jitter allows the designer to transfer signal data from CD transport to audio DAC without noise induced phase error. Now I use NVE IL715. I think it is DIY-friendly, too. For playing Hi-Res on my dac, it is the one of key parts, I think. 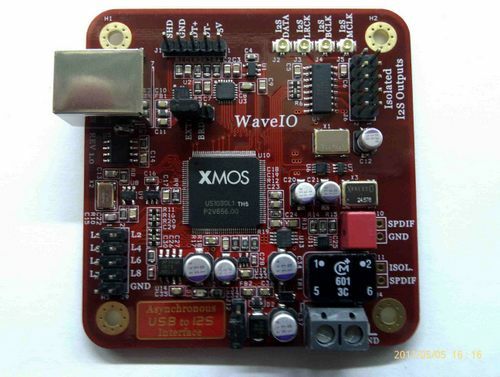 My project is using XMOS USB Audio 2.0 L1 board and AckoDAC. The source is mac mini using Puremusic(all time using upsample function for 192kHz). 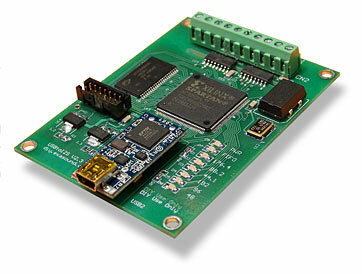 Now I isolate I2S and I2C line, it is very good effect for sound for me. Hi Richard, I’ve added the input-output capacitance values. They are all within the 2pf ballpark. Tell me more about that parameter. 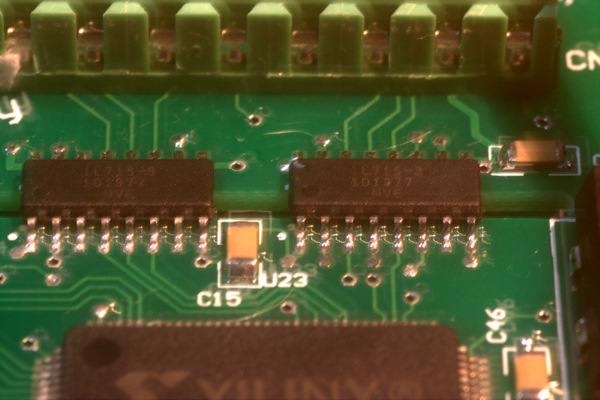 It would be interesting to compare the IL715 solution to the one Twisted Pear chose (LVDS) for I2S isolation. Ah wordpress didn’t send me an update that you’d asked me a question – so better late than never! The isolation capacitance parameter tells us something useful about how much isolation we’re going to get at RF (where it matters most). Low frequency isolation is not the main reason for using these parts for digital audio, rather we went to prevent RF common-mode noise coming in from (very) nasty sources like PCs and laptop SMPSUs. A value of 2pF means the impedance is about 8kohms at 10MHz and will fall to 800ohms at 100MHz. This will give good rejection of SMPSU noise which tends to be relatively low freq. A common-mode choke (I use Murata DLW31SN222) can boost this impedance beyond 100MHz. Another way to raise the common-mode impedance is ferrite beads. Is the capacitance value you quoted per channel or per package? These NVE’s certainly make more sense than the Adums which just pass thru any noise. But the NVE jitter performance isn’t better than a spdif receiver. The trick is to keep the masterclock on the correct side (dac side) and realign after the NVE again on the DAC side, then the jitter is in the 2-3ps range. One day someone will get it right. Until then one is best off just going sans galvanic isolation and rely on good PCB layout. Is IL715 1 way communication only ? If yes, would it work to just connect two of these optocoupler gates in paralell, but in opposite direction ? Of course two different circuits, to keep inside/outside voltage separated. Maybe you got me wrong. I wonder how you may isolate a wire with two way communication. Is it possible to connect 2 IL715 gates in paralell with opposite directions ? Maybe it is possible, I have not tried. I know there are chips that support two way communication, for example I2C isolators.